They don't realize the average annual salary for New Jersey Plumbers is $69,360, according to the Bureau of Labor Statistics. This has never been more apparent than over the country came together to help people in disaster-impacted communities get back to having safe drinking water, a clean shower and proper sanitation. These unsung heroes "Protect the health of the nation." The sentiment of American Standard from 90 years ago that still rings true today. This work is so vital to the health and prosperity of our communities pay the cost. Competition for "traditional four-year college" degree jobs may be fierce. But in New Jersey, there are more than 1,700 openings for New Jersey Plumbers, according to a quick search on Indeed.com. In a world where jobs are rapidly being replaced by technology, overlooking trade careers means that many young people miss an opportunity to carve an alternative career path. Plumbers have considerable job security. Getting the water to flow is always going to be a basic necessity and something that can't be outsourced or replaced by automation. In order to attract a new generation of skilled tradesmen and plumbers in particular, we need to boost support for apprenticeship and vocational program options for our young people.Currently, skilled senior tradespeople are retiring at a faster rate than they can be replaced by younger generations. In New Jersey, candidates can jumpstart their career paths by fast-tracking current four-year apprenticeship programs to reach "Journeyman" status once they complete four years of vocational high school training. 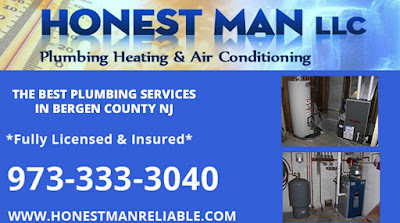 After one year of "Journeyman" status, they can apply for a Master Plumber license, which yields the highest earning potential averaging $115,000 in New Jersey. For Master Plumbers who choose to start their own business, earning potential is much higher. Licensing requirements vary from state to state, which is why we advocate for the establishment of a national plumbing license, that could establish uniformity, simplify training, and encourage portability across state lines for employment opportunities. For example, a plumber in New Jersey must get licensed in New York and Pennsylvania separately. This limits their ability to work in the region. The biggest change we need to make is how we view plumbers, and how we teach our children to view the plumbing industry. Many teens researching career options have no idea just how much technology is part of today's plumbing industry. It is exciting and stimulating to bring water innovations to life in homes and buildings. In short, a career in plumbing is not just Plan B. It is a solid Plan A. And now more than ever, we need to push harder to communicate the benefits of a skilled trade career. As we seek to invest in skilled trades. Steven Delarge Too many people still believe that a traditional four-year college over a trade apprenticeship. In fact, federal funding for career and technical education has declined nearly 30 percent between 2007 and 2015. As a result, millions of stable, highly lucrative jobs remain unfilled and our communities yet plumbing and other trade crafts are on the decline.While our nation once had a thriving public vocational-technical educational system, Americans' career aspirations, as well as its funding streams, have championed a traditional four-year college degree is the only road to success. They don't recognize that lucrative careers in plumbing provide stability, job security, flexibility and work-life balance.